Step back in time to the dramatic year of 1547, when the mighty armies of Scotland and England gave battle to determine who should marry the infant Queen of Scots. With fascinating living history encampments, hands-on activities for all the family, and spectacular battle recreations, this wonderful historical event is not to be missed. See the drama and excitement of Battle of Pinkie Cleugh come to life before your eyes, and discover more about this fascinating period of our history. Ongoing activities throughout the day include stalls, children's craft activities, living history encampments, birds of prey and have-a-go archery! 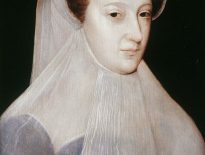 Elizabeth I’s rivalry with her Catholic cousin Mary, Queen of Scots is well known. But for her first ten years as queen she feared her Protestant rivals and cousins still more. 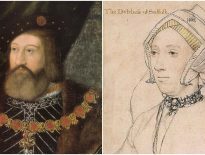 The story of the Nine Days queen, Lady Jane Grey and her forgotten sisters, the true heirs, reveal a queen very different from the Elizabeth of legend. Leanda is the author of several history books including Tudor, which was listed as a top ten bestseller. She also writes on matters historical and review books for a number of publications including BBC History magazine, History Today, the Literary Review, the New Criterion and the Spectator, as well as national newspapers. Chris Parsons from Eboracum Baroque will be performing some trumpet fanfares to set the scene for this fascinating talk about the Tudor court. A Sumptuous Tudor feast fit for a king will take place 23rd September in The Abbot’s Kitchen, a night of entertainment and merry music to dance the night away. A welcome drink on arrival followed by a delicious mouth watering three course meal awaits you as you listen to Music. Tickets cost £50 per a person, limited to 40 people. House Open - view the Hall (some rooms downstairs will contain Tudors!). Gardens Open - in all their autumn splendour. Over 10 acres of garden, moats, ponds and woodland. Breathtaking. Step back in time to see everyday life in Tudor Times with over 100 Tudors about the manor, under cover and in the grounds. Apples and Pears: meet Kentwell's gardeners and find out all about the native fruit grown in Kentwell's Walled Garden. This is one of our smaller re-creation events, with approximately 100 costumed Tudors about the Manor. It carries through as many of the Summer Re-Creations' themes and activities as possible with activity on the Front Sward, in the House, much in the Moat House and some undercover in the Gardens & Farm areas. Join us to celebrate the 35th Anniversary of the raising of the Mary Rose with two days of fascinating talks. We will be welcoming speakers such as Dr Miranda Kaufmann, Dr Fred Hocker who is head of conservation at the Vasa Museum, Professor Jon Adams and noted historian Dr David Starkey. The talks are taking place over two days (Friday 13th and Saturday 14th October 2017), starting at 10am each day until around 3:30pm, in the Princess Royal Gallery at the National Museum of the Royal Navy, on site at Portsmouth Historic Dockyard. Refreshments, including a free lunch, will be provided throughout the day and there will be an opportunity to visit the Mary Rose Museum. A full programme of lectures will be released in early September. Working with Strode College, we are staging a conference to celebrate the 500th anniversary of the revolution that changed the world - Glastonbury Town Hall. Price includes a light lunch and access to the abbey. Places are limited. Dr Elaine Fulton (University of Birmingham) - Luther and the European Reformation, Dr Tim Hopkinson-Ball (Glastonbury Antiquarian Society) - Glastonbury Abbey and the Dissolution of the Monasteries, Prof Sue Doran (University of Oxford) - The English Reformation, Dr Simon Johnson (Downside Abbey) - The Counter-Reformation, Andrew Pickering (Plymouth University at Strode College) - Luther and Witches in Reformation Europe, Dr Anthony Cross (University of Oxford) - Multiple Reformations: Dissent and Divergence in Protestant Europe.